An ultimate anti-fatigue concentrate. Helps diminish the appearance of scarring results. Effectively comforts the irritation and redness. Greatly protects your skin from external factors. Strengthens and repairs the vulnerable skin. Suitable for all skin types. A savior of the skin that complements its natural healing process with the restorative power of the sea. 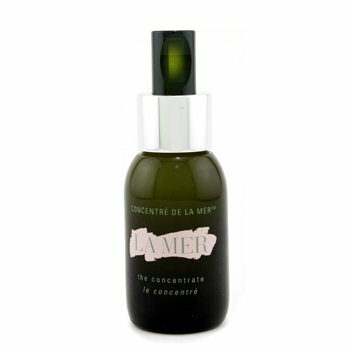 La Mer the concentrate complements skin's natural healing process with the restorative power of the sea. 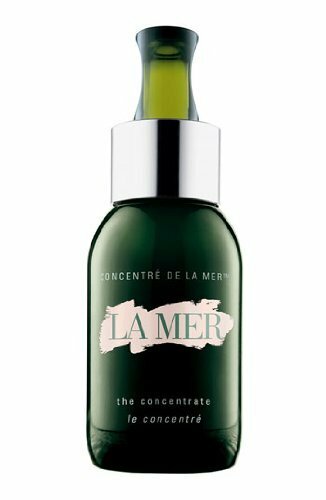 Designed to soothe visible irritation and redness caused by cosmetic procedures such as chemical peels, microdermabrasion and laser treatments, it is infused with a dose of highly concentrated miracle broth, the heart of la Mer's profound powers of transformation. Irritation appears soothed and dry, fragile skin made strong for a radiant renewal. This concentrated cream utilizes three unique forms of Miracle Broth? 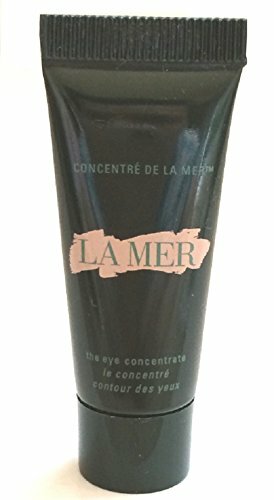 to deeply condition, smooth and hydrate the delicate eye area. It significantly reduces the appearance of dark circles, lines and wrinkles for a luminous new life. 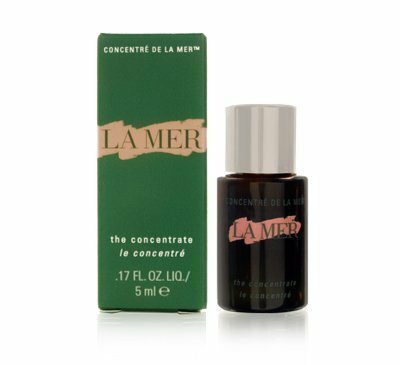 Fortified with an iron-rich mineral, The Eye Concentrate dramatically dissolves the appearance of dark circles. It works in tandem with a specially-engineered, silver-tipped applicator which helps cool the skin, immediately improving micro-circulation. 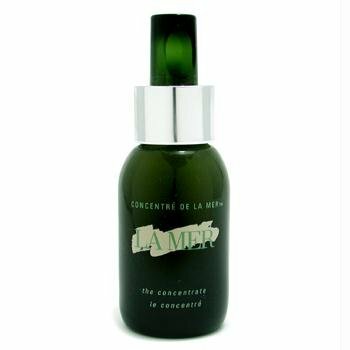 La Mer The Eye Concentrate is an excellent eye cream significantly reduces the appearance of dark circles, puffiness and lines.The Eye Concentrate contains with 3 unique forms of Miracle BrothTM: the original, a concentrated form and a new, encapsulated form designed to optimize continuous release to the skin. Known for its healing energies, the Miracle BrothTM infuses skin with the energy it needs to focus on renewal.The Eye Concentrate comes with a silver-tipped applicator which can help to cool the skin and improve the blood circulation around eyes area immediately. It works over time to dramatically dissolve the appearance of dark circles and puffiness. The eye area appears healthy, more vital. Please noted that the miniature size of The Eye Concentrate does not come with a silver-tipped applicator. 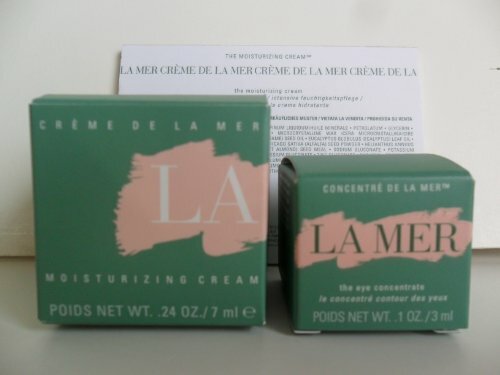 La Mer Skincare Set 2 Pieces: The Moisturizing Cream .24 oz / 7ml New In Box + The Eye Concentrate .1 oz / 3ml New In Box. Deluxe Travel Size Set. 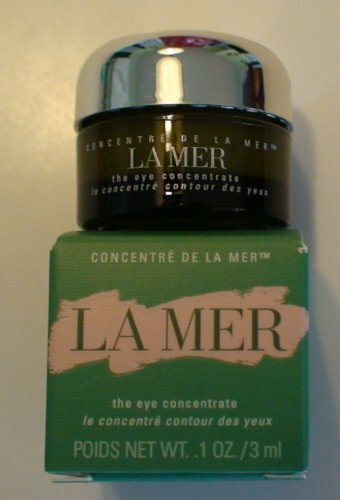 La Mer Skincare Set 2 Pieces: The Moisturizing Cream .24 oz / 7ml New In Box + La Mer The Eye Concentrate .1 oz / 3ml. 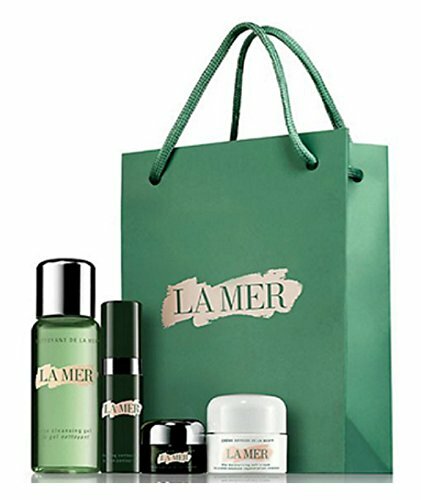 A classic selection of essential La Mer skincare, this introductory set reveals a firmer, smoother, more radiant appearance. Your regimen visibly renews and rejuvenates skin so fine lines, wrinkles, and pores look diminished. Your Regimen: The Cleansing Gel 1oz., The Regenerating Serum .17oz., The Eye Concentrate .1oz., Crème de la Mer .24oz. 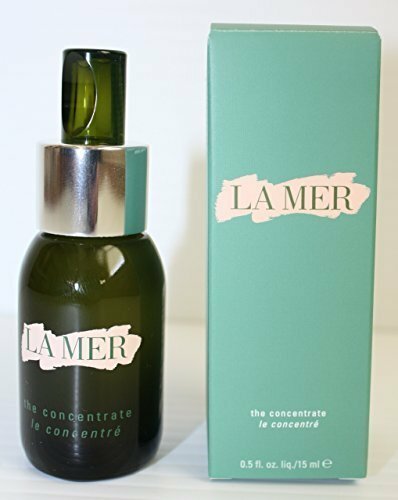 Copyright © Wholesalion.com 2019 - The Best Prices On La Mer Concentrate Online.